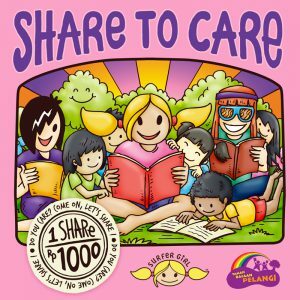 Surfer Girl, a well known lifestyle brand for young women selling girls surf products, launched a “Share to Care” campaign today in collaboration with Taman Bacaan Pelangi [Rainbow Reading Gardens]! We are very happy and excited with this partnership, especially because through the “Share to Care” campaign, we can encourage many young girls to start taking part in a good cause. Hopefully, it will raise their awareness to start sharing and caring for others in their daily life! 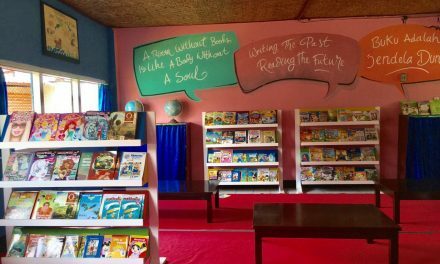 Not only that, this campaign will also benefit the children who live in remote areas of Eastern Indonesia to enjoy more books at the Taman Bacaan Pelangi [Rainbow Reading Gardens], from the donation that we raise from this campaign! How can you take part in this campaign? It’s very easy! Visit Surfer Girl’s fan page on Facebook (www.facebook.com/ilovesurfergirl) and click “Share” on the badge as shown below on the page. 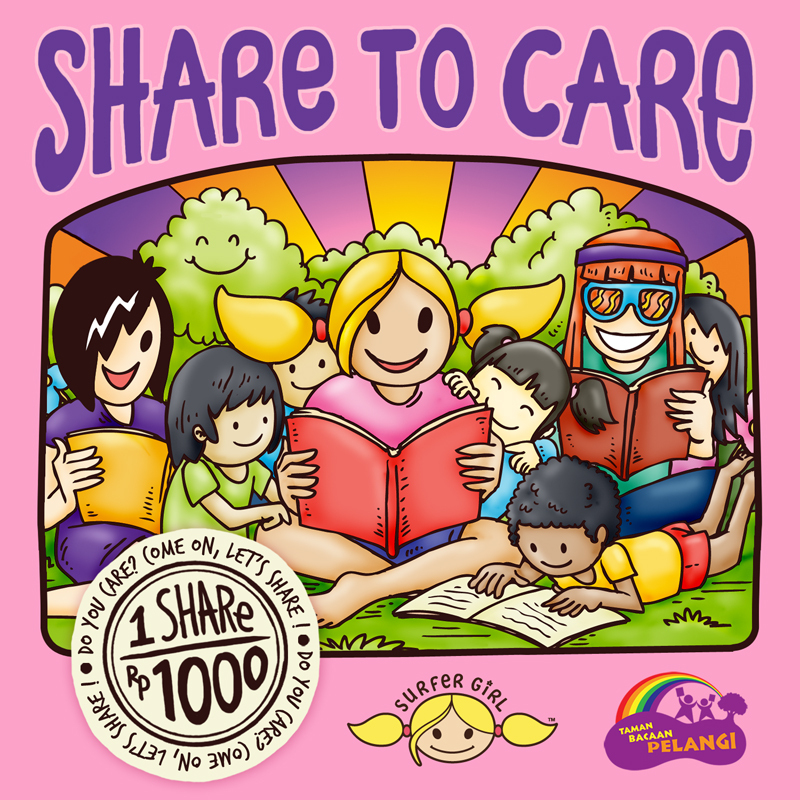 Every 1 share, Surfer Girl will donate Rp 1,000.- for Rainbow Reading Gardens. 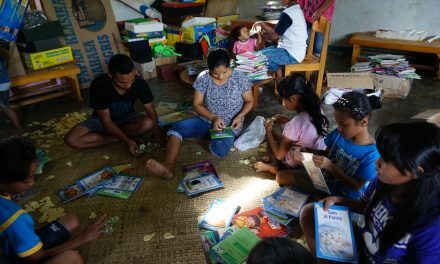 The fund will be used to buy children story books to be enjoyed by the kids at our libraries in the 25 villages across Eastern Indonesia :). Let’s start sharing the badge! 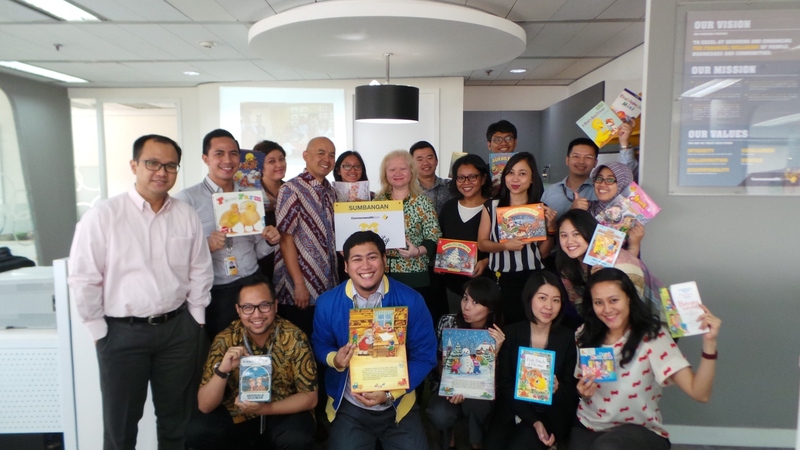 NextBali Usada Supports Taman Bacaan Pelangi [Rainbow Reading Gardens] Throughout 2013!